Hepa Merz Granules is used for Liver cirrhosis, Hepatitis, Liver failure, Jaundice, Liver dysfunction, and other conditions. Hepa Merz Granules may also be used for purposes not listed in this medication guide. 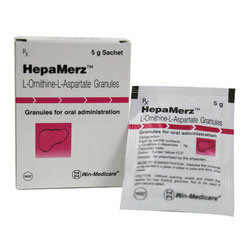 Hepa Merz Granules contains L-Ornithine L-Aspartate as an active ingredient. 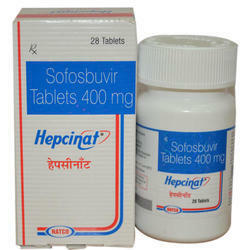 Hepcinat 400 mg Tablet is an antiviral medicine used in the treatment of chronic hepatitis C infection. It is also used in patients with liver cancer and hepatitis C infection who are planning to have liver transplantation. 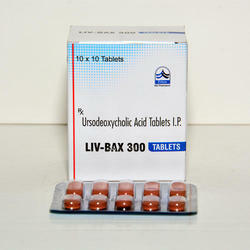 Ursodeoxycholic Acid Tablets medication is a biliary agent, prescribed for gallstones. It helps to dissolve the stone by reducing the amount of cholesterol released by liver into bile.Ursocol contains the active ingredient Ursodeoxycholic Acid, it most commonly used to treat Liver conditions. 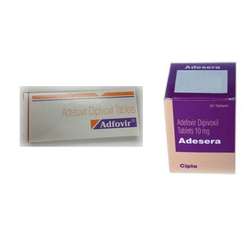 Adesera Tablet is used to treat chronic (long-term) Hepatitis B infection (swelling of the liver caused by a virus) in patients who have symptoms of the disease. Adesera Tablet is in a class of medications called nucleotide analogs. 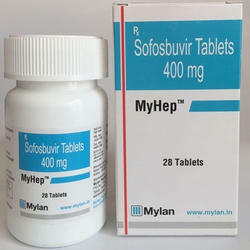 Hepcvir 400 mg Tablet is an antiviral medicine used in the treatment of chronic hepatitis C infection. It is also used in patients with liver cancer and hepatitis C infection who are planning to have liver transplantation. 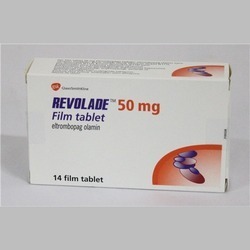 Revolade Tablets, Promacta Eltrombopag is used to treat Thrombocytopenia (low platelets in the blood) in adults and children 1 year of age and older with a blood disorder called chronic Idiopathic Thrombocytopenic Purpura (ITP). 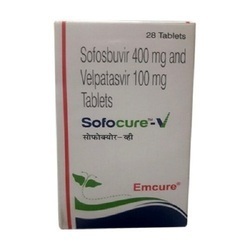 Sofocure 400 mg Tablet is an antiviral medicine used in the treatment of chronic hepatitis C infection. It is also used in patients with liver cancer and hepatitis C infection who are planning to have a liver transplantation. 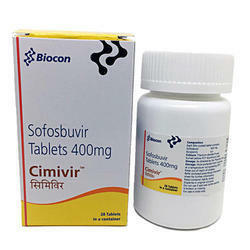 Cimivir Tablet (Sofosbuvir) is used in combination with other antiviral drugs for the treatment of patients with the viral infection that damages the liver (Hepatitis C) including those patients who have Human Immunodeficiency Virus (HIV) infection or liver cancer or are awaiting a liver transplant. 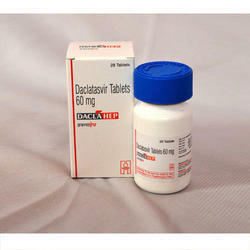 Daclahep 60 mg Tablet is used in combination with other medications such as sofosbuvir, interferon, and ribavirin for the treatment of hepatitis C infection. The usual dose in adults for treating chronic hepatitis C is 60 mg, taken orally once daily for a period of 12 weeks. 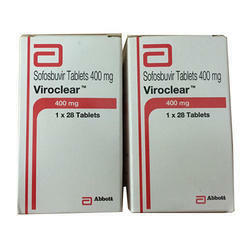 Viroclear 400 mg Tablet is an antiviral medicine used in the treatment of chronic hepatitis C infection. It is also used in patients with liver cancer and hepatitis C infection who are planning to have liver transplantation. 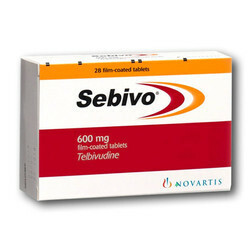 Sebivo 600Mg Tablet is a type of antiviral drug that is used to treat hepatitis B infection. It is a synthetic thymidine that works by impairing the DNA replication of the hepatitis B virus. 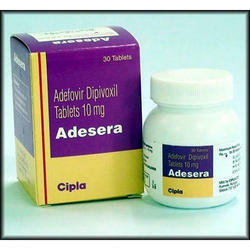 Adesera 10 mg Tablet is an antiviral medicine used to treat chronic hepatitis B virus infection. This medicine is not a cure for the Hepatitis B virus. It only prevents the virus from multiplying in your body. 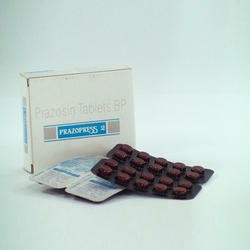 Close monitoring of kidney function is advised during treatment with this medicine. 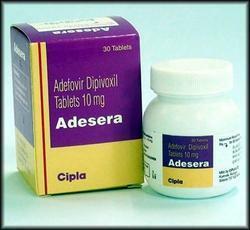 we are providing a wide array Adefovir Dipivoxil. In addition to this, we are providing these products at very leading prices. Sharvik Impex India Private limited is a prime exporter of Adesera(Adefovir) is used to treat chronic (long-term) hepatitis B infection (swelling of the liver caused by a virus) in patients who have symptoms of the disease. 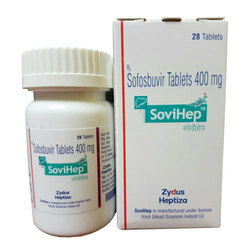 Sovihep 400 mg Tablet is used in the treatment of chronic hepatitis C virus infection for preventing the growth and spread of the virus in the body. 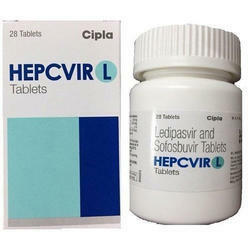 Hepcinat-Lp Tablet helps in the treatment of chronic hepatitis C (HCV). This drug is used in a combination with another drug, to prevent the spread of HCV throughout the body. 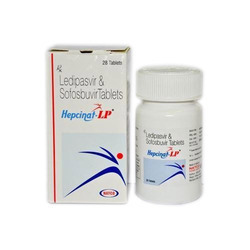 Hepcinat-Lp Tablet is meant to be taken orally, either with food or without. Metadoxine, also known as pyridoxine-pyrrolidone carboxylate, is a drug used to treat chronic and acute alcohol intoxication. 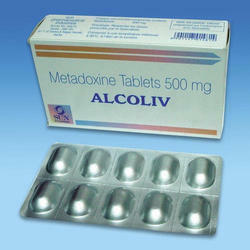 Metadoxine is a liver-protective agent used in the treatment of alcohol intoxication and fatty liver. 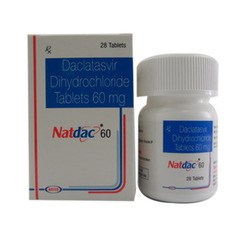 Natdac 60 Mg Tablet is used in combination with other medications such as sofosbuvir, interferon, and ribavirin for the treatment of hepatitis C infection. Effect and uses of medicine may vary from person to person. 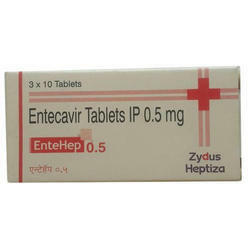 Entehep Entecavir Tablet is used to treat long-term infection of the liver (hepatitis) caused by the Hepatitis B Virus (HBV). It is also used to prevent HBV reinfection after liver the transplant and to treat HIV patients infected with HBV. Sharvik Impex India Pvt.Ltd is a thoroughly licensed company to supply Medicines and has earned a lot of appreciation for its services leading to a solid presence in different countries and gaining a positive reputation around the globe. We continuously work smart to minimize the cost of medicines and packaging and mode of delivery, which benefit our customers as they can enjoy the best deals supported by us. Our major objective is customer satisfaction of getting genuine and quality products. We provide reliability and faster drop shipping service to our customers. We shoulder the responsibility to serve popular online pharmacies and drugstores and have earned goodwill as genuine service providers all these years. 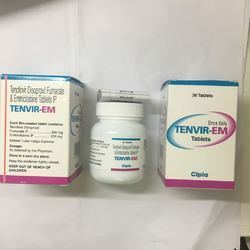 Tenofovir Tablet, Entavir Tablet, and many more available for the cause. We look to honor your inquiries and are committed for Quality material / Quality shipping with 24 hours Tracking updates and follow-ups from our side. 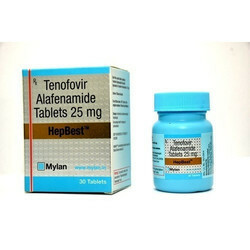 My Hep 25 mg Tablet is an antiviral medicine used in the treatment of chronic hepatitis C infection. It is also used in patients with liver cancer and hepatitis C infection who are planning to have liver transplantation. 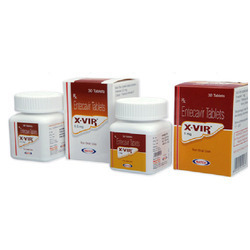 Entavir 0.5 mg Tablet is an antiviral drug which is used in the treatment of chronic hepatitis B virus (HBV) infection in patients with severe liver abnormalities. It reduces the amount of virus in the patient's body, but it does not cure the disease. 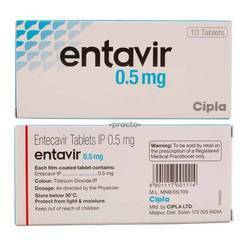 Entavir 0.5 mg Tablet is an antiviral drug which is used in the treatment of chronic hepatitis B virus (HBV) infection in patients with severe liver abnormalities.